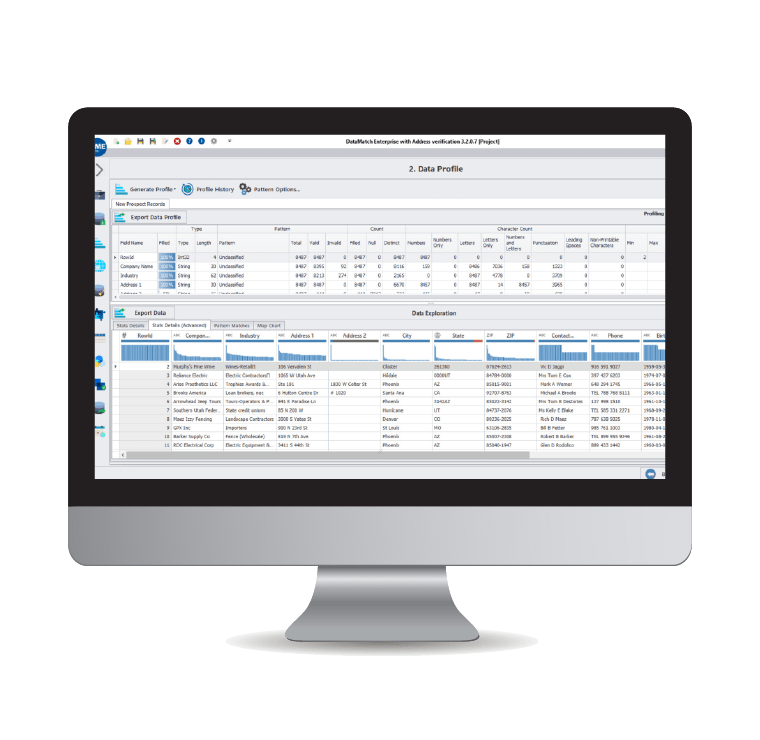 Transform and clean incorrectly formatted or inconsistent data with hundreds of built-in, highly customizable functions and see results instantly with data standardization software. Connect your sources and prepare your data intuitively to get business intelligence faster. See the impact of each data preparation step with our highly visual, iterative approach. Let business users prepare their data sources themselves with code-free data preparation. Data preparation, also known as data wrangling, is a data management process that involves combining data from disparate sources, profiling it to understand issues and potential improvements, and then cleaning and enriching it to prepare it for use by downstream applications, most commonly, business analytics. Traditionally, IT has been the gatekeeper when it comes to data. When business users needed to use a data source for business intelligence, they had to wait on IT to code routines to move and extract the data, standardize, deduplicate, correct, and otherwise clean it, and then provide an enriched dataset ready for analysis. As a result, in many enterprises today, time to analytics is measured in quarters or years. You need a better, modern approach to data preparation. Our industry-leading data preparation software provides a point-and-click interface to help you combine disparate data, profile it to understand underlying issues, correct spelling errors and standardize it, fill in missing information and deduplicate it, and provide a clean, consistent dataset ready for analysis, regardless of where your data lives and in which format. Improve analytics with self-service data prep and make it your competitive advantage. How Can Data Preparation Software Help You Grow Your Business? In the race to become more data-driven and drive better business decisions, organizations are increasingly finding the conventional data warehouse architecture inflexible, instead preferring ad-hoc exploration of corporate data. Problem is, preparing source data for analysis is a job no one likes and yet takes the longest. Data scientists claim that they spend 80% of their time finding, organizing, and cleaning data rather than analyzing it. Self-service data preparation software negates this problem completely. Understand Your Data: Highlight potential data quality issues like non-printable characters, missing data, mixed numbers, and letters, etc. within minutes. Built for IT and Business Alike: Self-service data preparation empowers non-technical users to take control of their data visually. Create a Unified View: Blend data sources and find linked entities across enterprise-wide data to create an enriched, unified view. See Your Data As It Changes: Apply a variety of cleansing and enrichment operations visually and analyze the impact in real-time. Reduce Total Cost of Ownership: Maximize the productivity of your existing resources by enabling them to prepare their data with little to no training. Enrich Data with Built-in Libraries: Automatically identify and match state names, abbreviations, cities, postal codes, nicknames, and other demographic data. Automate Repetitive Tasks: Conduct repetitive actions like removing special characters or matching names by pronunciation with one-click operations. Faster Time to Insight: Business users who understand their data best can now extract insights themselves in minutes and hours. Collaborative Data Preparation: Create DataMatch projects where lines of business and IT can work together to create trusted data. Make Decisions Confidently: Trust your data to point you in the right direction every single time when making strategic decisions. Streamline Data Migration: Ensure successful system migration to your modern ERP, PIM, or CRM by automating data cleansing and deduplication. Flexibility Where You Need It: Intuitively import popular formats and sources to clean and enrich within our data preparation software – no technical background required. Unparalleled cleansing accuracy and speed for enterprise-grade data preparation, beating IBM and SAS. Affordable package; costs 95% less than comparable solutions. Support for disparate data sources for record linkage. Semantic matching for unstructured data. Complete set of data cleansing tools. During your 30-day trial, you can access DataMatch Enterprise risk-free. The data preparation software is user-friendly and easy to install – what you see is what you get! However, we recommend a 30 to 60-minute non-obligatory online consultation with one of our subject matter experts to help you get the most out of your free trial.